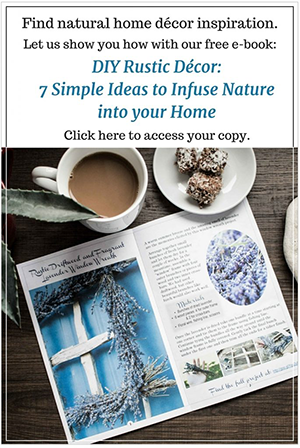 Who doesn’t like a little romance in their life? Although I personally wouldn’t consider myself a romantic, I do appreciate symbols of love and admiration such as this simple heart garland. 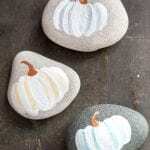 Each heart ornament measures 10 1/2″ high and can be used one their own or together in a grouping. 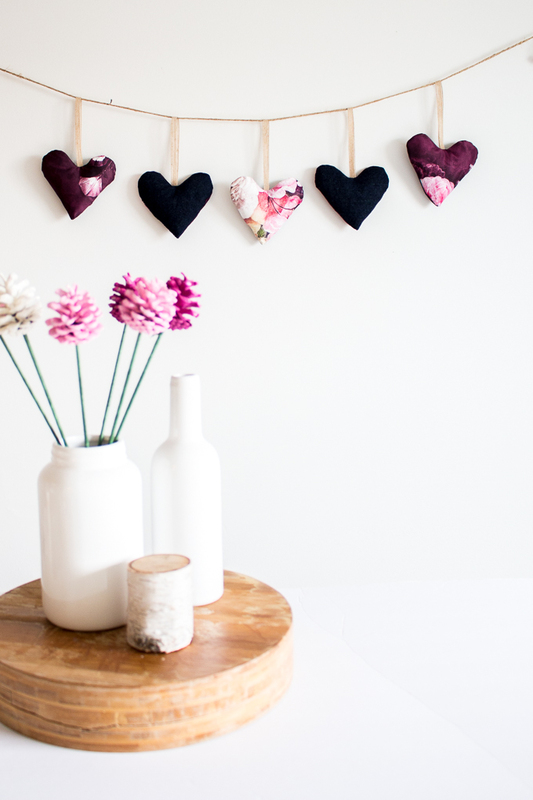 Since making this project last year for Crafts By Amanda, I’ve hung them on door knobs in the house as well as stringing a bunch of them together on a piece of cut twine making this simple DIY heart garland. 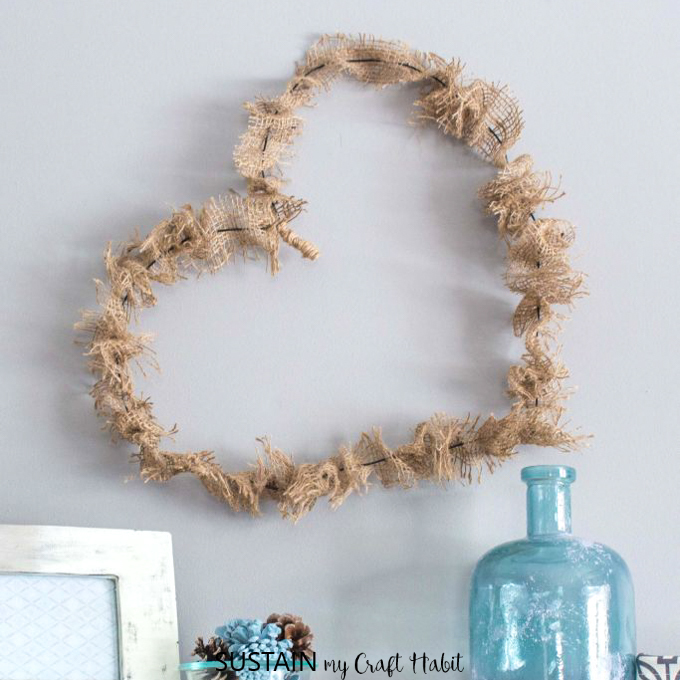 One could also use the heart ornament as part of a pretty grapevine wreath idea. 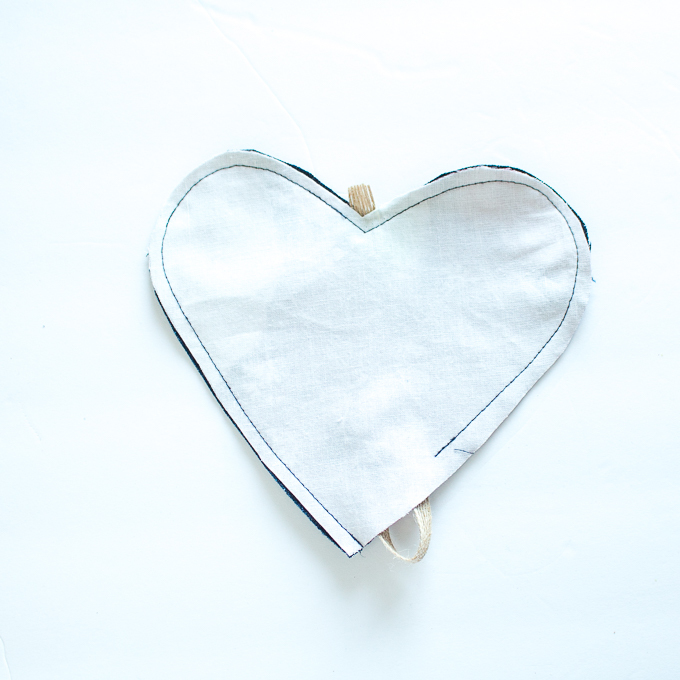 And since this heart is two sided, you can get two looks in one for added versatility! 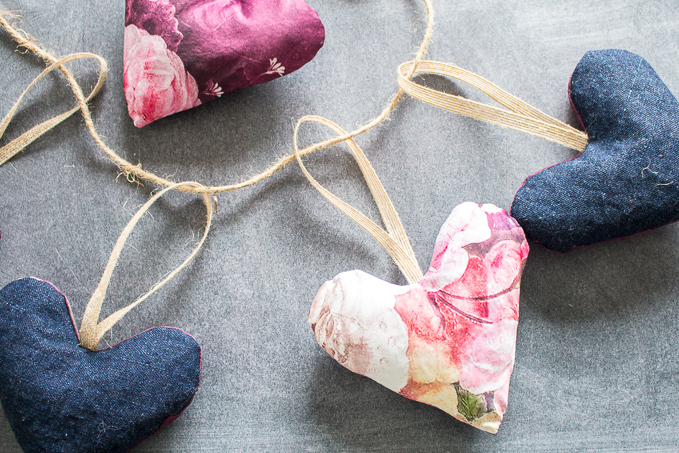 We love using scrap materials to create projects and this heart ornament is no exception. 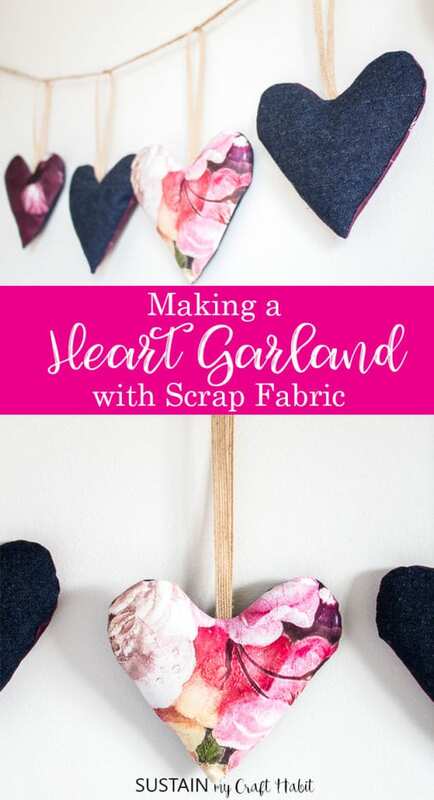 I used leftover denim scraps from my upcycled denim picnic blanket along with scraps from my silk and wood beaded necklace to make this heart garland. 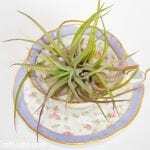 If you don’t have any scraps laying around, consider a visit to a local thrift shop to gather your supplies. Can you believe we turned old tshirts from a second hand store into tshirt yarn that made this crochet circular rug? 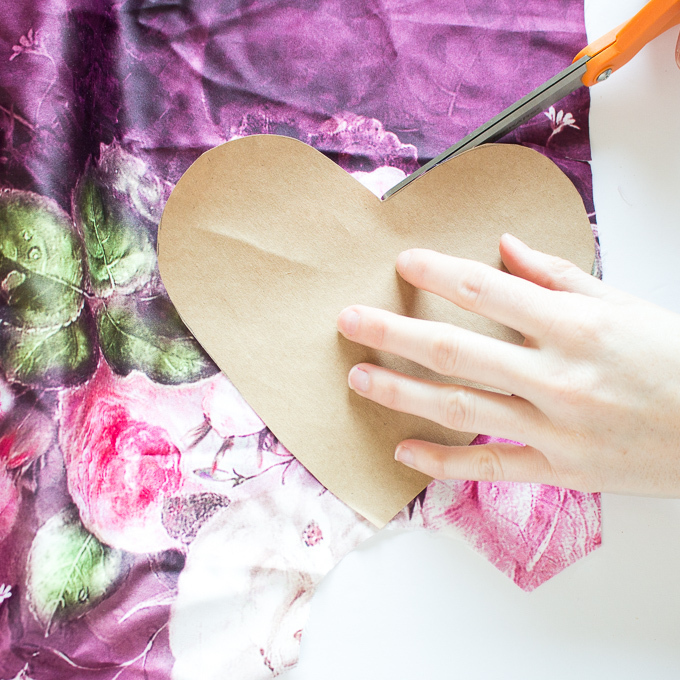 Cut the fabric scraps into heart shapes using the free template provided. I cut one side in denim and the other side in a beautiful floral silk. To add some weight to the soft silk, I added a lightweight fusing to the back side making it easier to sew with. Cut the ribbon to 12” long and fold in half. Place it at the center of the heart with the loop end towards the inside of the heart. Pin it to the right side of the cut heart. 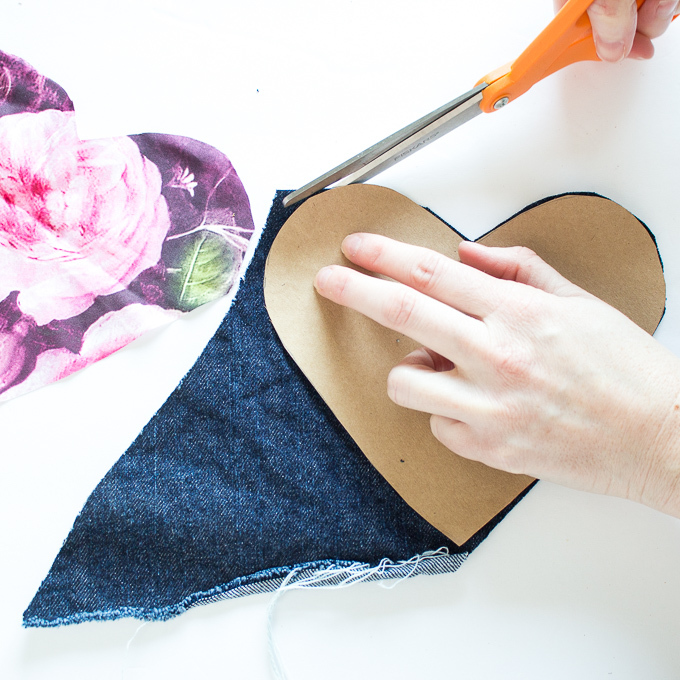 With right sides together, stitch the heart closed leaving a 1.5” gap opening. 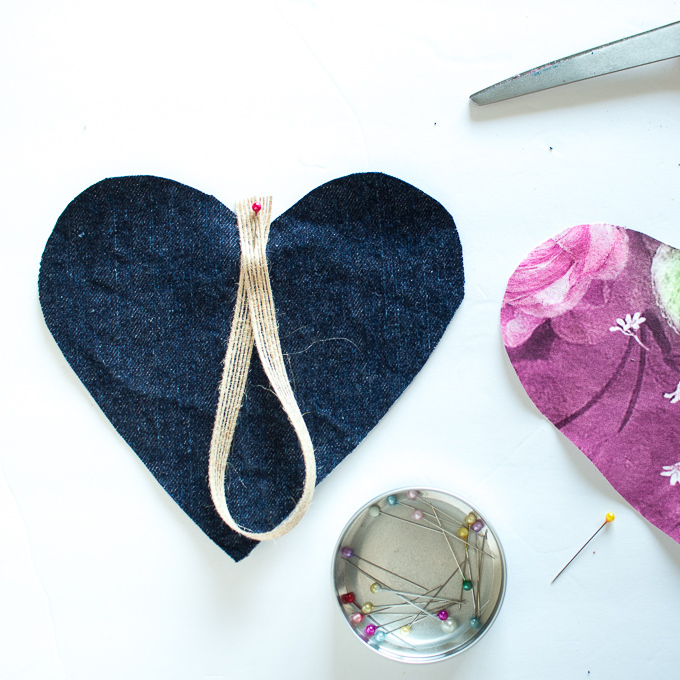 Turn the stitched heart right side out and lightly fill the heart with stuffing. Stitch the opening closed with a hand needle and matching thread to finish. 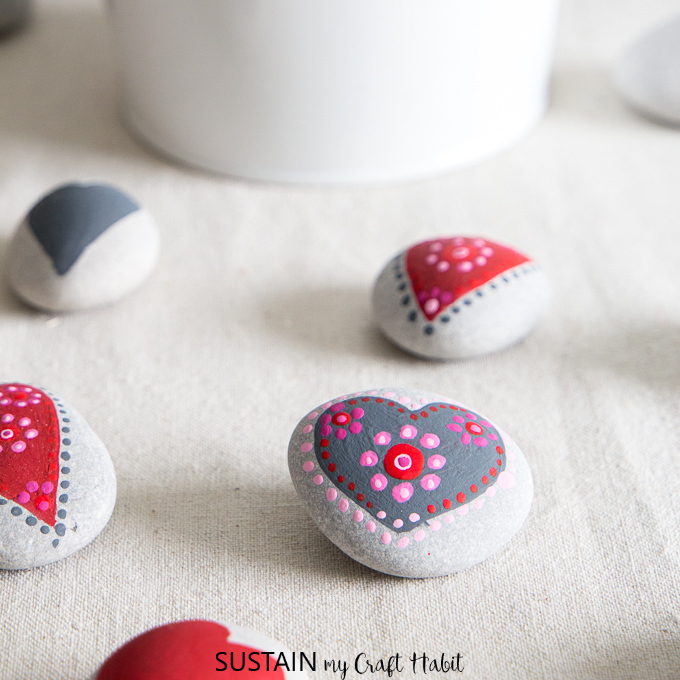 Repeat these steps to make as many heart ornaments as you like. 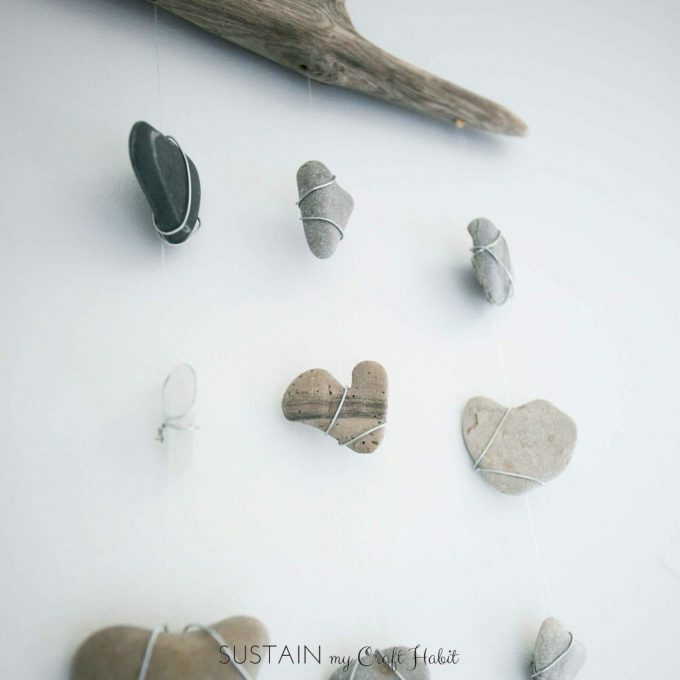 String a handful of them on a long piece of cut twine and there you have it, your heart garland is ready for display. 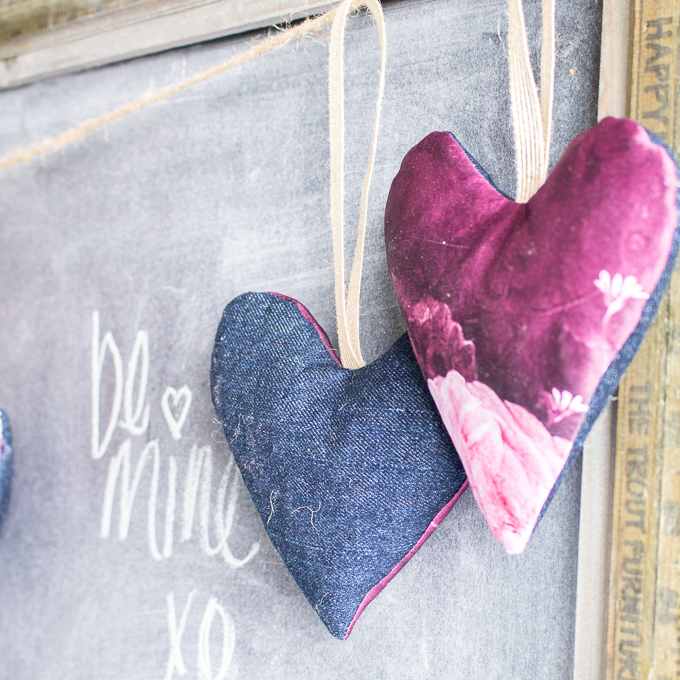 If you’re looking for more creative Valentine’s decor, you’ll enjoy this DIY wire heart wreath using scrap burlap and an old wire hanger, and this unexpected heart rock mobile, as well as these simple mandala inspired painted heart rocks.